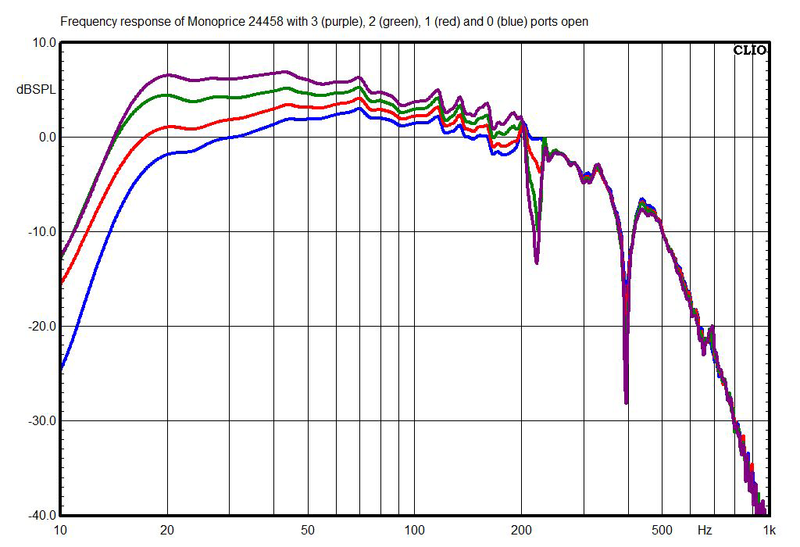 I measured the frequency response of the Monoprice Monolith THX Ultra 15” (product no. 24458) with an Audiomatica Clio FW 10 audio analyzer and MIC-01 measurement microphone, and in two different ways: the ground-plane technique, with the microphone on the ground 2m in front of the sub, and the result smoothed to 1/6 octave; and the close-miked technique, with the mike placed as close as possible (about 1/4”) to the woofer and ports, and the port responses scaled and summed with the woofer response. I show the close-miked results here because those graphs are clearer; the ground-plane results were within a couple of Hz of them. For the power-compression measurement, I placed the mike on the ground 2m from the front of the sub. The two sets of measurements presented here -- CEA-2010 and the traditional method -- are essentially the same. CEA-2010 mandates that no matter how the sub is measured, the results must be scaled to the equivalent of a measurement at 1m distance using peak values. 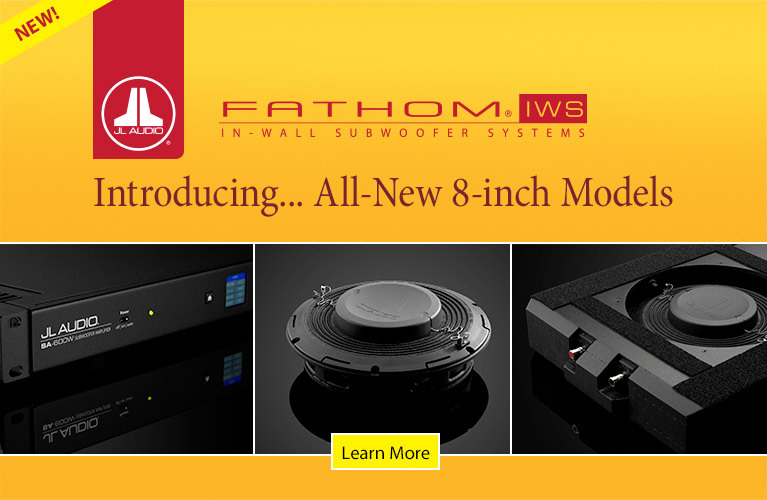 But the traditional measurement technique used by some audio websites and manufacturers reports results at 2m RMS equivalent, which is -9dB lower than CEA-2010. An “L” next to the result indicates that the output was dictated by the subwoofer’s internal circuitry (i.e., limiter), and not by exceeding the CEA-2010 distortion thresholds. Averages are calculated in pascals. 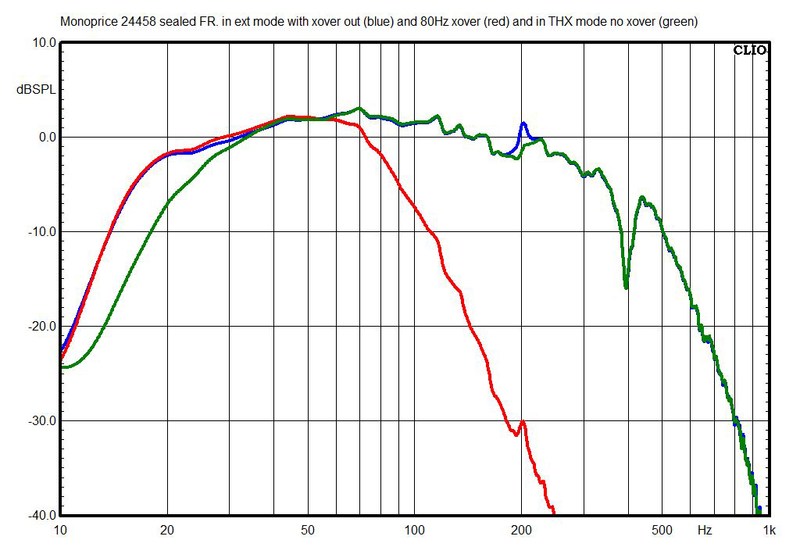 This chart shows the Monolith THX Ultra’s frequency response with the crossover frequency set to maximum and the sub set to Extended (rather than THX) mode. I’ll show the effects of the crossover and the THX mode in the next graph. You can see that the bass output gradually rises as more ports are opened, and that the response is pretty much flat up to 200Hz. 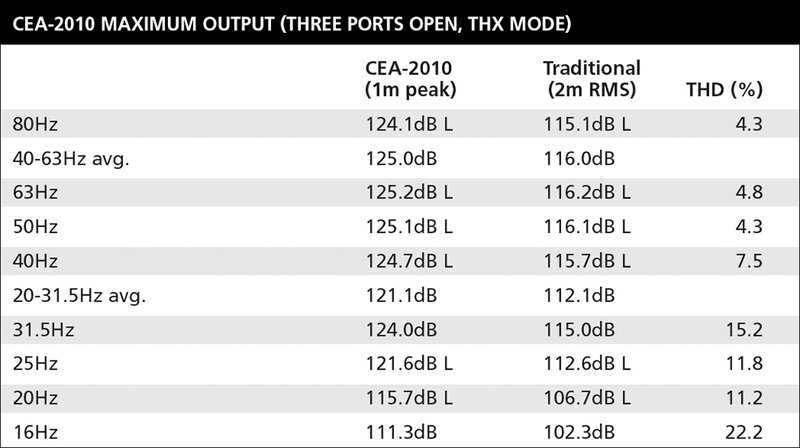 With two and three ports open, the -3dB point (using the peak of the sub’s response curve as that +3dB reference point) is 14Hz. Even in sealed mode, it hits 16Hz. This chart shows the response of the crossover and the effect of the THX mode, measured with all of the sub’s ports sealed. The crossover frequency was 80Hz, and, as the chart shows, the control is accurately calibrated (not usually the case), and the low-pass function is about -22dB/octave. 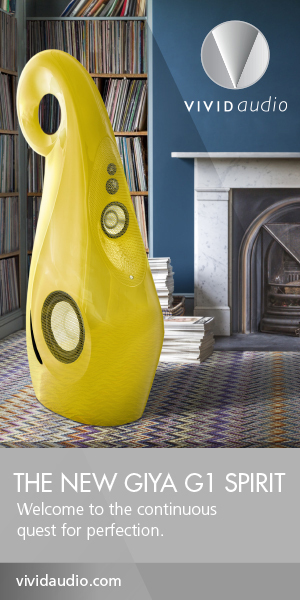 The THX mode reduces bass output by about 4dB at 20Hz. 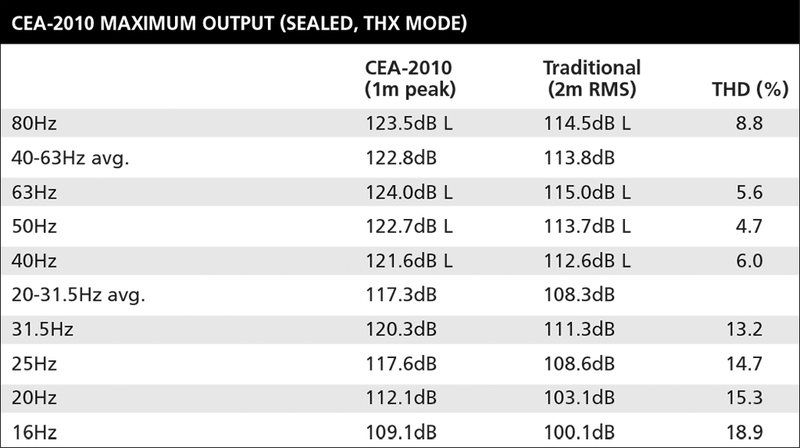 This chart shows how the Monolith THX Ultra’s frequency response is affected by increases in volume. I measured this with all three ports open in THX mode, starting at 106dB at 2m, calibrated at 63Hz, then raised the level 3dB for each successive measurement. 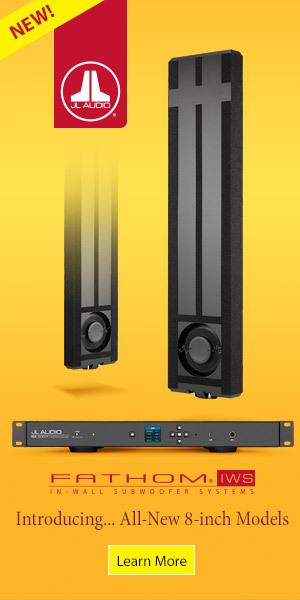 You can see that the Monolith’s frequency response doesn’t change as it reaches its output limits; with many subs -- especially those with limiters that are set with higher thresholds, which allow greater distortion -- the bass response begins to weaken as the sub reaches the limits of its capabilities. Unfortunately, I had to return the sub in a hurry due to an upcoming trip, and didn’t have time to measure its output in the Extended (non-THX) mode, but based on the frequency-response measurements and what I heard, I expect the Extended-mode output measurements would average about 2dB higher than THX mode. Please note that if you haven’t seen subwoofer distortion numbers before and are used to looking at amplifier distortion specs, some of these may look high. 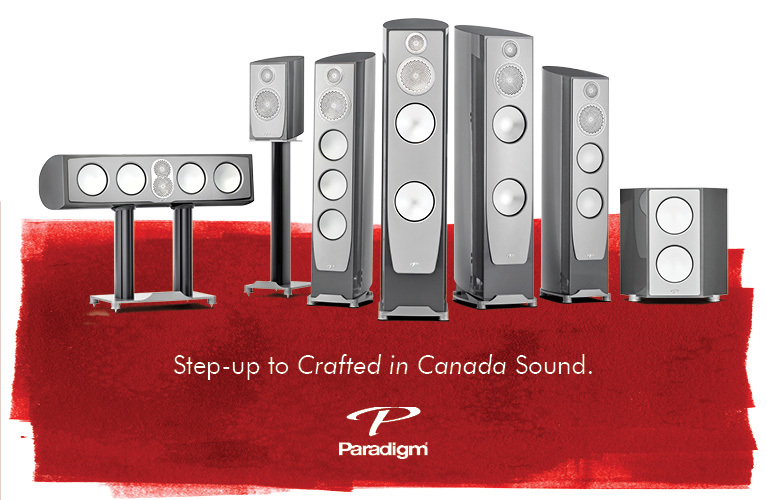 But in loudspeakers, and especially subwoofers, much higher distortion levels are the norm, and typically are inaudible. 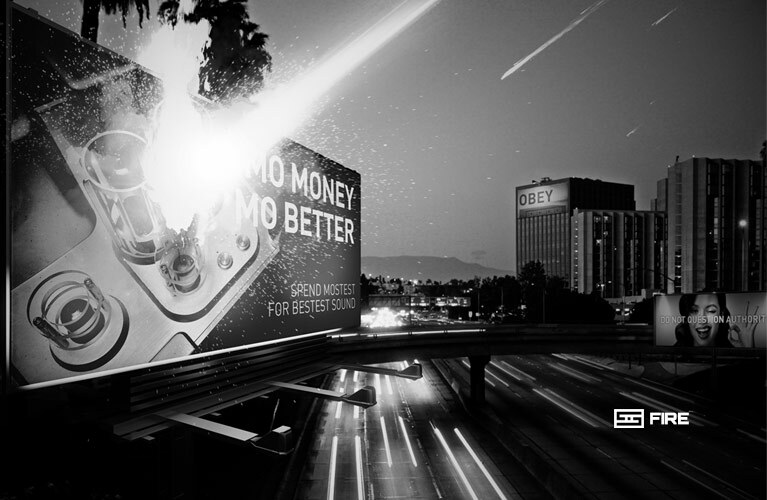 The generally accepted threshold for the audibility of total harmonic distortion in subwoofers is 10%, and CEA-2010 thresholds permit a maximum THD of around 30%. The Monolith THX Ultra’s CEA-2010 output numbers are excellent -- among the best I’ve measured for a sub of this size and configuration. 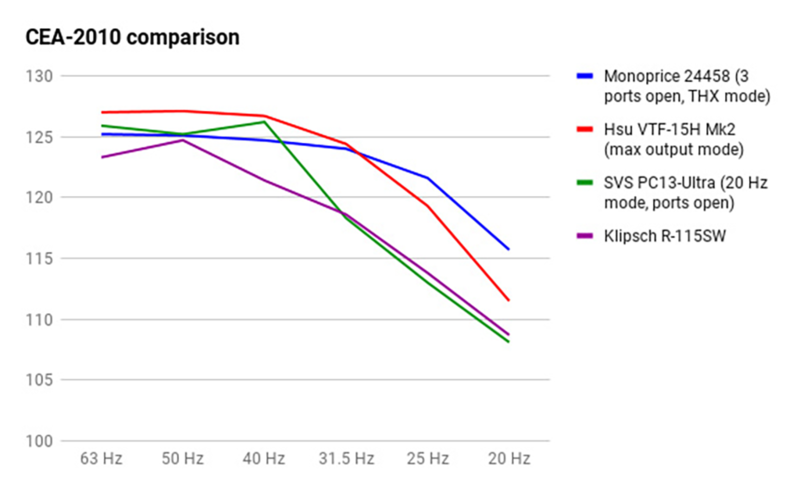 This chart tracks the CEA-2010 results of the Monoprice Monolith THX Ultra (blue trace) compared with three other ported subs that are somewhat comparable: two 15” models (Hsu Research VTF-15H Mk.2 and Klipsch R-115SW), and one 13” model (SVS PC13-Ultra). 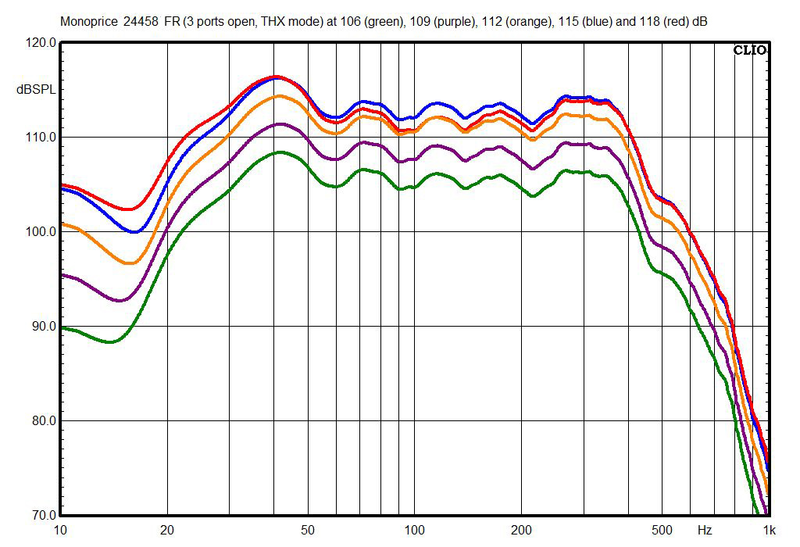 The Monoprice doesn’t have quite as much output at higher bass frequencies as some models, but has more deep-bass output than the three other models, and a more consistent maximum output throughout the two octaves covered in the chart.